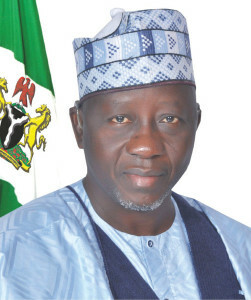 The Governing Council of Nasarawa State University, keffi have concluded plans to meet with the state Governor towards finding a way forwad and a lasting solution to the on-going strike action embarked upon by ASUU, NSUK chapter. According to Nsuk Campus Watch reporter Ofim K. Ofim the date of the meeting have not been disclosed yet, but it is perceived to have been schedule for this week. At this point we can say the prayers innocent students who are always at the receiving end of these strike actions are gradually been answered. Therefore, we urge you all to remain calm, hopeful and not to relent in your prayers. As soon as we receive report from the outcome of their meeting, as usual you will be the first to get it. The almost one month old strike which was declared on the 7th of March, 2016 have crippled all academic activities in the university and if not resolved soon enough, will affect the school calender, which others already hold to the opinion that it has been affected already.